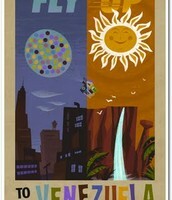 Land of mysteries and adventure! Despite some issues in the drug cartel industry and financial deficits, Venezuela is a jewel in South America with its exquisite natural beauty ranging from snow-caped mountains to sandy white beaches. 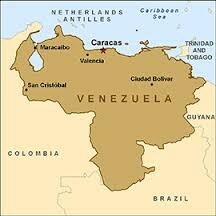 Economy: Venezuela is a major oil producer and gets a lot of its money and finances from this industry. Wildlife: Venezuela's wildlife ranges from dolphins and crocodiles to pumas and and howler monkeys, which make for an exciting game to try to spot some of these rare animals. Language: Official language is Spanish. Foreign languages are: Chinese, Italian, Portuguese, Arabic, English. 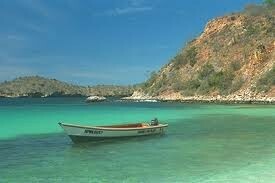 The must sees in Venezuela-Guaranteed to have the time of your life! 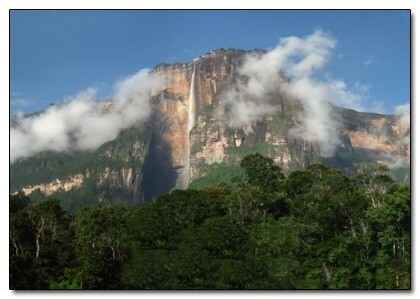 In southeastern Venesuela it is the biggest waterfall in the world being 979 meters tall and 150 meters wide. In 1930, an American explorer named James Angel had seen Kerepakupai Meru when his plane had crash landed. 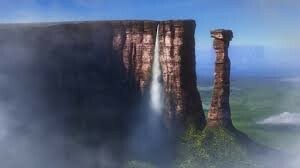 He had then named it Angel Falls. In 2009 President Hugo Chavez had declared that the falls should be changed back to its indigenous name of Kerepakupai Meru. Why should you go here? There are so many things to do in Venezuela's capital, serving all types of tourism-from cultural and historical, to breathtaking viewpoints to see the city and all the land around it. Casa Natal & Museo Bolivar: This is the birthplace and museum of military and political leader of SImon Bolivar in the late 1700s. Anyone who loves history will be intrigued with the architecture of Mr. Bolivars home. SImon Bolivar helped many South American countries break free from Spain's control, and the museum celebrates his accomplishments. 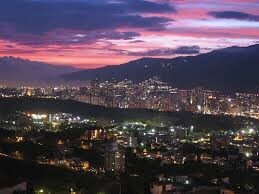 Pico Niaguata: This is a mountain range near Caracas. It is the highest peak on the Venezuelan coastal range which allows for beautiful views of Caracas and the surrounding area with an elevation of 2765m. How to get to the top? Anyone out for an adventure would love the long yet enjoyable hike up to the top! The views are weel worth it! With crystal clear water, endless species of wildlife and beautiful environment, Mochima National Park is one of the best places in Venezuela to have fun in the sun! Mochima National park has little tourism which makes it a perfect place to enjoy once in a lifetime opportunities such as, swimming with dolphins, white sandy beaches, and scuba diving, yet not having to push through a crowd to do so. There are so many things to do and diverse habitats ranging from breathtaking coral reefs, swamps, deserts, and jungle vegetation-everything you could ask for! 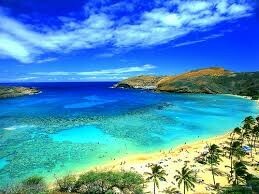 You can go swimming with the dolphins, hike up mountain trails and breathtaking views for photography. There are may small towns you can explore to get a feel of the culture and local life. 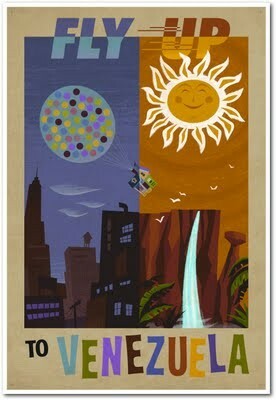 Many will recognize the beautiful country of Venezuela from the Pixar movie Up! How far is Venezuela from Canada? From Ottawa to Venezuela it takes approximately 5 hours and 8 minutes.